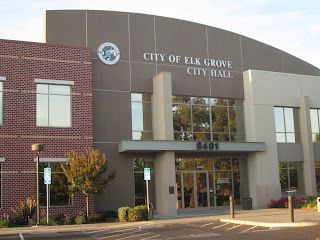 At their Wednesday night meeting, the Elk Grove City Council is poised to adopt a one day permitting process. The idea, which is being advocated by the Region Builders developers advocacy group, will the time in which permits are issued for commercial tenant improvement projects. According to the city staff report, permits can be issued within one to three days, versus a current average of about 15-days. To facilitate the streamlined process, professionals would be pre-qualified by the city to participate in the program. Under the program, the city would still issue permits, and buildings would still be required to comply with all applicable codes. The program was introduced in the Sacramento region by Region Builders and is being modeled after a successful program in Phoenix. If adopted, Elk Grove will be the first city in California to adopt the expedited process. "We're excited to see the City of Elk Grove take the extra step of getting the City Council to formally approve the Permit Simplicity program," Region Builders Executive Director Joshua Woods said. "This action demonstrates a top to bottom commitment from the City to be the fastest jurisdiction in California for businesses to locate and expand." The program is expected to start on July 1. Wednesday night's city council meeting starts at 6 p.m. Very poorly written and I can see much confusion in separating commercial from residential....One-day vs Ten-day rules. Plus...Builders are running the city now? Forget the Full time assistants for the City Council, just hire assistants for the Builders to wine and dine them and provide valet services. We're a city with a population of approx. 160,000, Phoenix has 1.5 Million and we're comparing what works there with Elk Grove? Also...NO Feasibility Study? Must have run out of storage space. building networks with people who are going to help them committing crimes and not getting caught. They are doing it at the expenses of the citizens they are suppose to serve. Our city leaders are at the epic center of corruption. Haven't we notice how slippery it is to try to hold them accountable? They are going to ride off into the sunset along with builders when there is no more land to build on in EG. All I ever hear from our City Council is their catering to outsiders or themselves personally. When are they ever going to listen to the people and give back to us, the people who put them in office and pay the bills? We have so many needs and nothing is being done to meet those that I can see. Corrupt at Bell, Bankrupt as Vallejo....hmmmm I was laughed at by many many people...hmmm I know I do not have proof, sure wish I had the investigative instincts to be able to get to the bottom of all of this. Wonder if ever one of the "stakeholders" will ever come forth and describe how this game has gone on.....or maybe even a past employee of the city.